We’ll have to see if the “new design” really makes that much of a difference. If I can, I would prefer my comic book reading be done all in one place. Maybe I’m biased, because I really don’t know the difference between Marvel and DC. Really. Comics people are SHOCKED when I say that, but I frankly don’t care which publisher it comes from. The same holds true for my comics reading app. 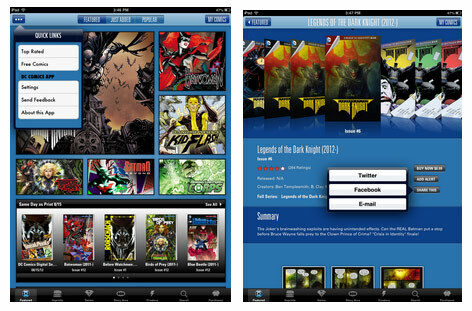 Just keep it all in one place with ComiXology. Perhaps this character search feature might be nice in DC’s app. I have a problem with Evernote. I use it an archive, not as active in-progress writing. People don’t want resources. People want people. When I go to read comics, I still pull up the ComiXology app and not the DC app. © 2019 Matt Maldre. All Rights Reserved.